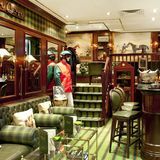 The Stables Bar within the Milestone Hotel is an intimate and cosy bar to meet friends and unwind. A selection of drinks are available alongside modern British bar food. 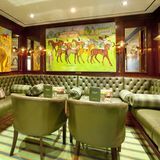 "An intimate and unique hideaway... Named after its original use as a carriage house, Stables Bar is one of London's great hidden bars with a club-like ambience. 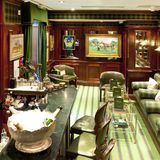 As its name suggest, the bar is adorned with artwork and furnishing depicting traditional racing scenes. Sink into rich green leather armchairs or prop yourself up at the rich mahogany bar and watch as our bartender demonstrates his expertise in cocktail making. Sample your favourite tipple from the wide choice of beers, spirits and wines including Bouchard Finlayson, accompanied by a range of savoury nibbles and light meals available from the bar menu. And, as with all the best bars, you’re free to be as convivial or as private as you wish, because for as long as you’re here, this is your place." What did you think of Stables Bar? Very unusual and interesting venue with AMAZING decor! Stables Bar is a very unusual and interesting venue - really impressive decor and the staff were bending over backwards to accommodate and make us feel welcome. The cocktails were strong and all used premium spirits as you would expect. It's not cheap, but as long as you're prepared for that then the Stables Bar is a 100 percent worth checking out. I would definitely return!